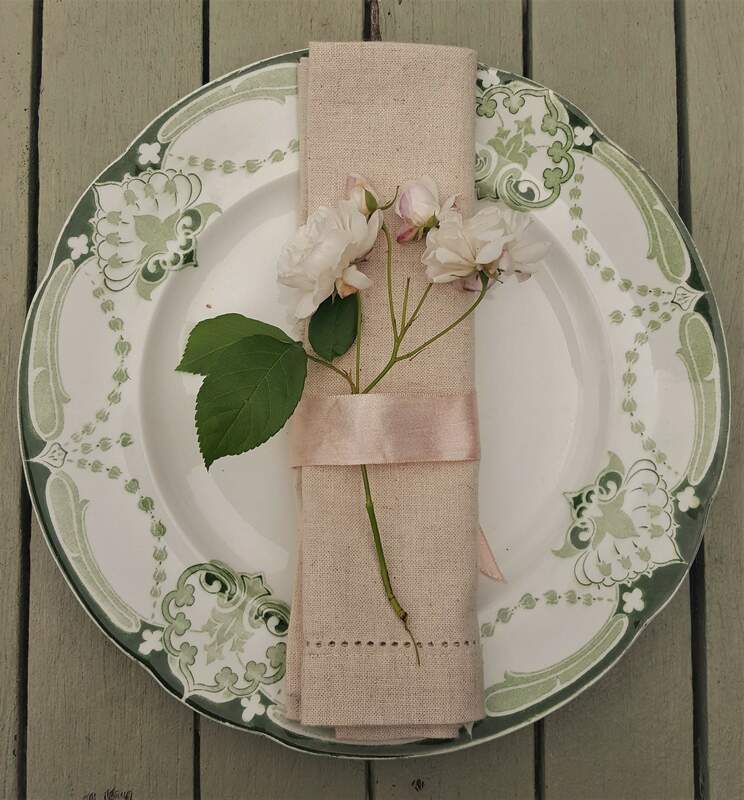 Our lovely linen collection provides the perfect backdrop to your vintage table. 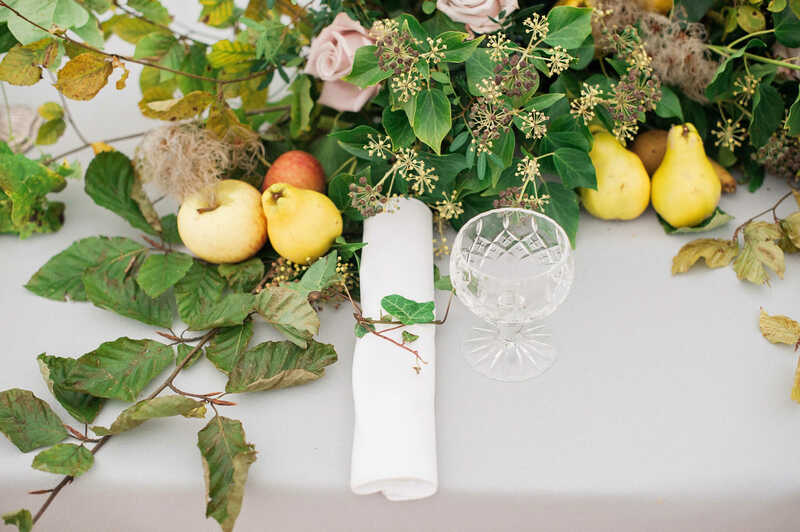 You can keep your tables classic and minimalist with crisp white cotton cloths and napkins, or mix in some vintage textures and patterns. 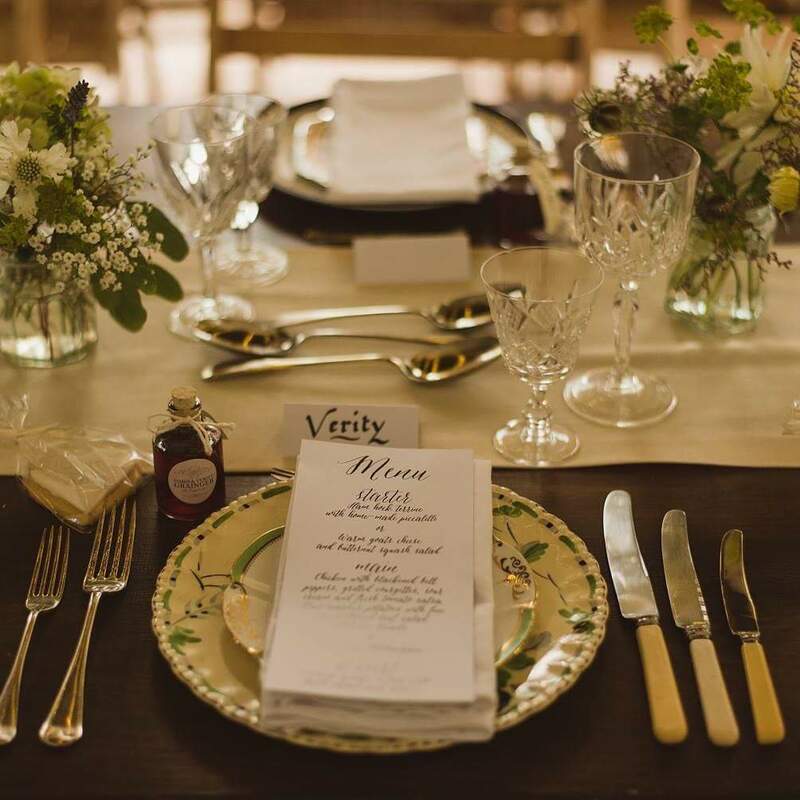 Our tablerunners look beautiful on both long tables and smaller rounds and offer a soft contrast on bare wood tables. 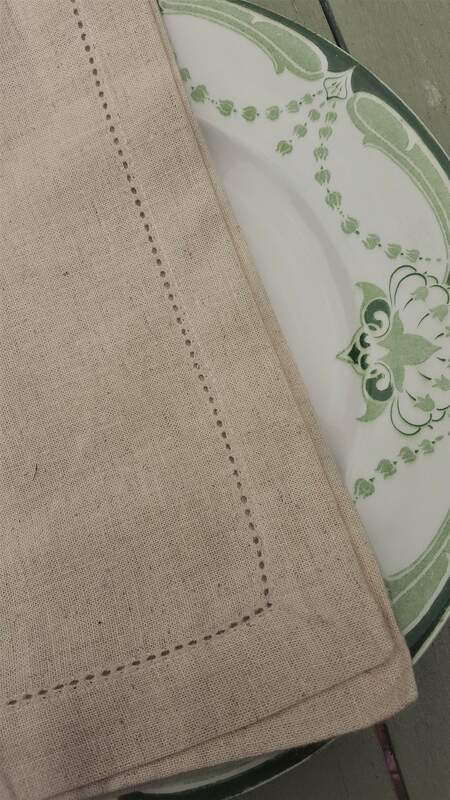 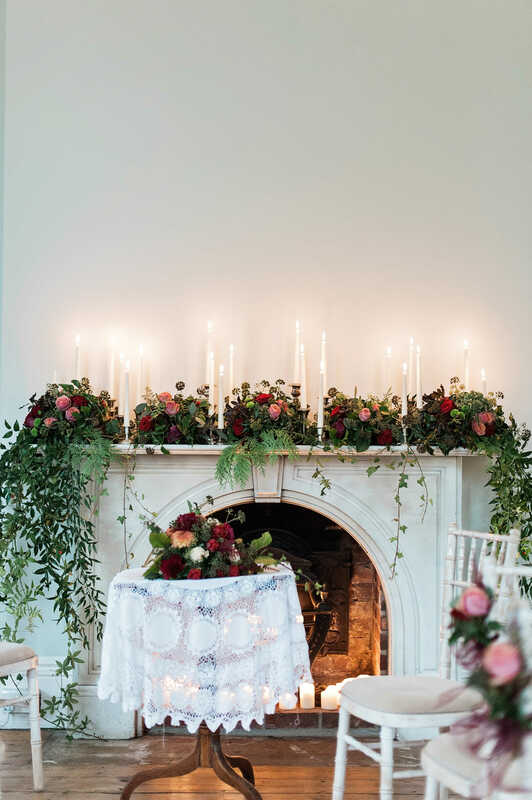 Choose from rustic hessian, natural linen or pretty tumbling lace. 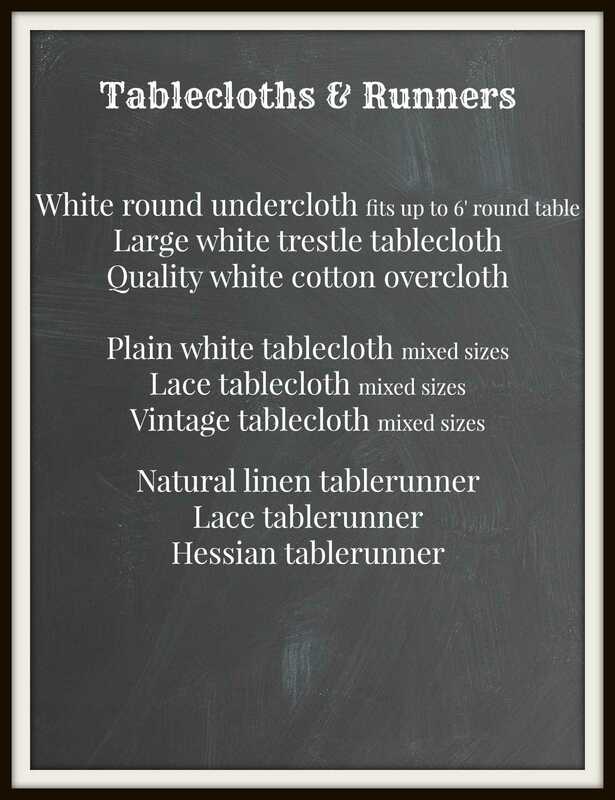 We can also make tablerunners bespoke to your tables. 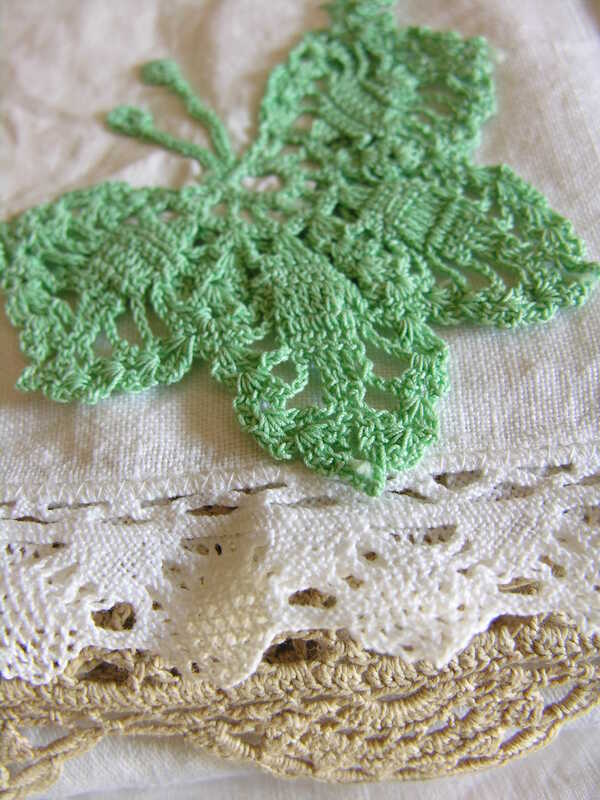 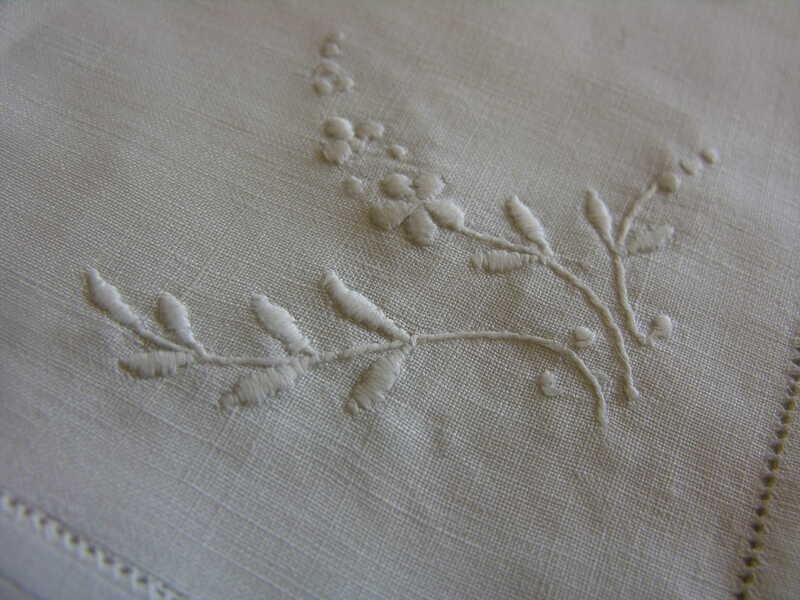 Many of our gorgeous vintage napkins and cloths are sourced from France, featuring unique monograms and emblems. 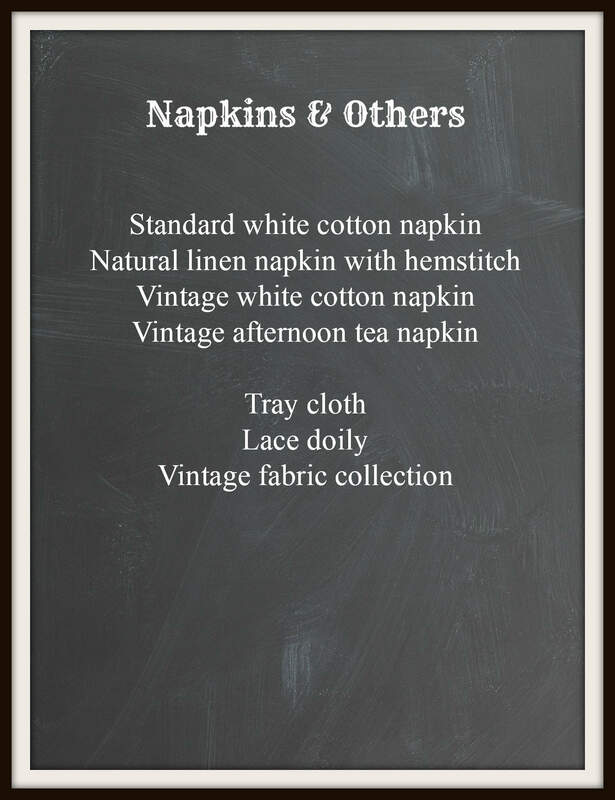 Our classic white napkins can be given a chic vintage twist with a simple ribbon or lace tie and a stem of your favourite flower, or you can opt for the beautiful natural coloured linen napkins with pretty hemstitch detail which perfectly complement a vintage table and add gorgeous raw texture with their soft slubby finish. 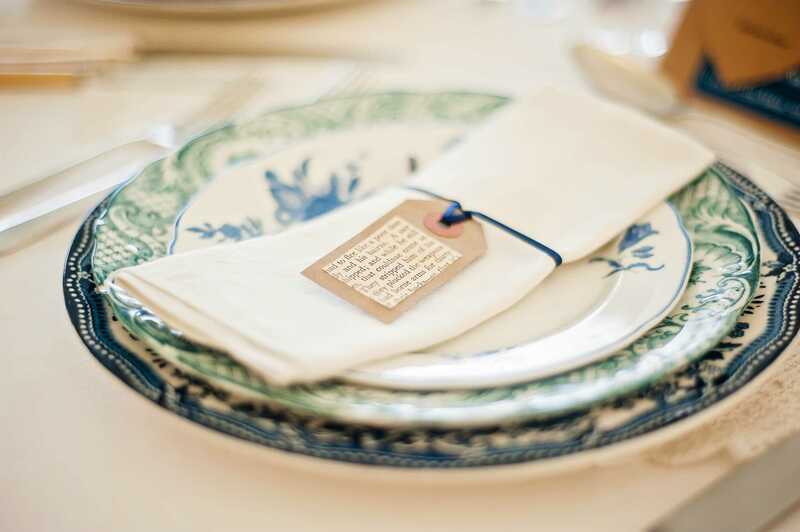 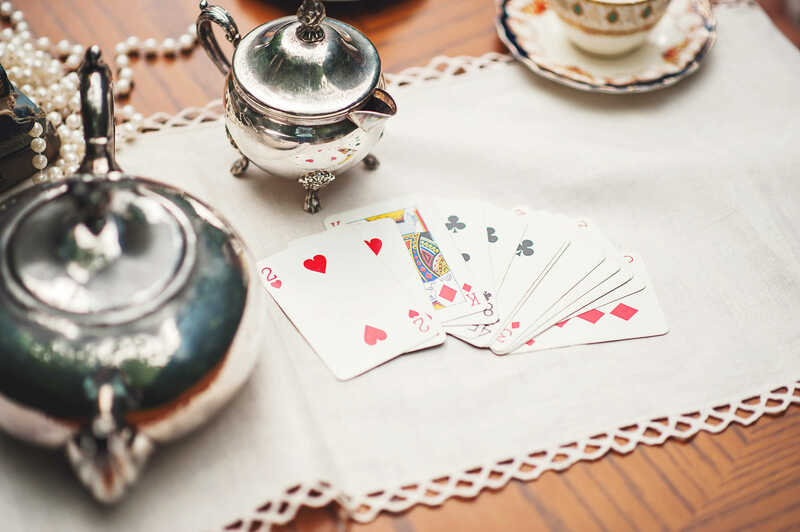 Napkin tags complete the look and are also an excellent way to show your guests to their seats.